Product #6328 | SKU SWPANEL2ME | 0.0 (no ratings yet) Thanks for your rating! 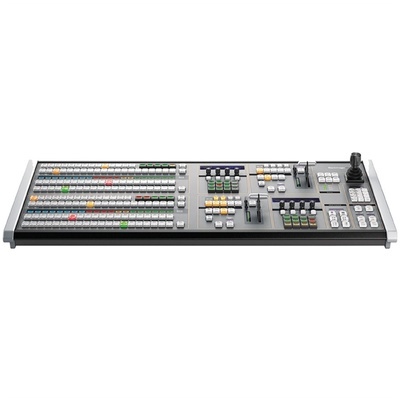 The Blackmagic Design ATEM 2 M/E Broadcast Panel is a perfect companion to a professional live switcher, such as Blackmagic Design's ATEM 2 M/E Production Switcher ( not included ). With a broad field populated by high-quality buttons, knobs, T-bars, and a 3-axis joystick, you'll be able to customise your panel's operation to your exact needs and preferences – without compromise.